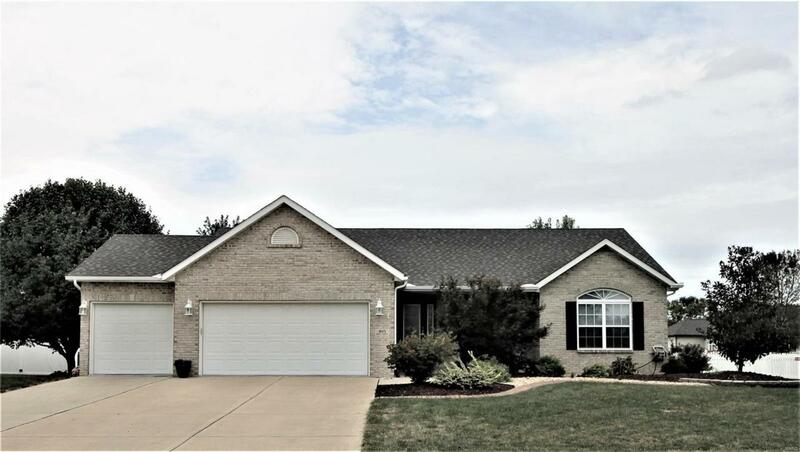 You will fall in love with this meticulously cared for home. A spacious sunroom in the lovely, fenced back yard will provide a welcome place to entertain friends and family. 3bed/3 bath home with a wonderful flow to the floorplan. The vaulted ceiling in the family roomcreates an airy and welcoming atmosphere. With plenty of room for additional living area in the basement, this could be the perfect house for you. There is a surround sound installed just waiting for someone to hook up. The 3 car garage has a wonderful epoxy floor and the black cabinet in the garage stays.Updates include: New Roof in 18; New Gutters in 18; New Shower Door in Master Bath; as well as a water powered sump pump back up system has been installed that includes an alarm to alert homeowners when it continually runs to long.Schedule your Showing Today! !